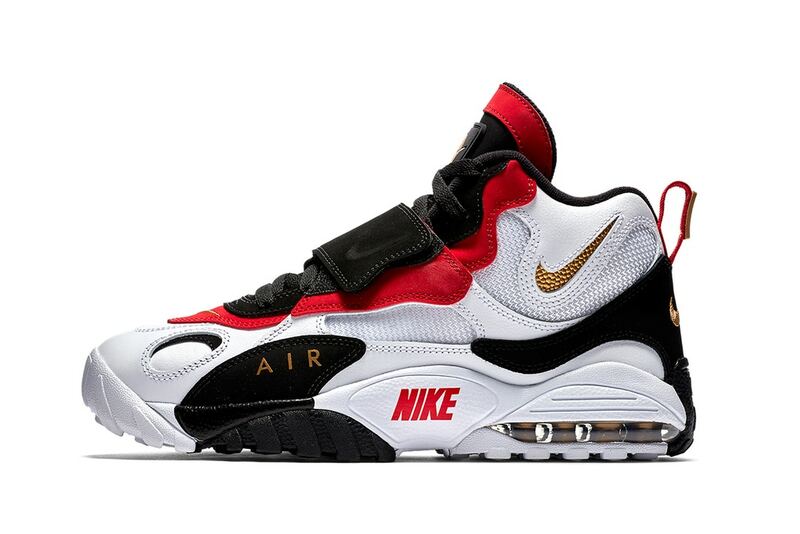 So Nike‘s versatile Speed Turf Max is making a return in a 49ers’ popular color combination of White/Metallic Gold-Black-Gym Red. The sneaker finds a visible Air Max unit in its heel to go along with a midfoot strap. Signature Nike branding also comes through on its tongue, heel, and both lateral and medial sides with a rugged pattern on its outsole.